Massage around eyes and reduce the pressure. 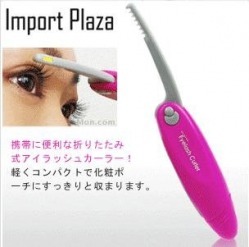 A multi-purpose Eyelash Curler that perfectly & beautifully fits Asian eyes. 1. 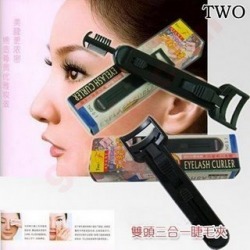 Big curler; clamp the entire eyelash, thus allowing eyelashes to curl upwards perfectly. 2. Eyebrow brush; helps to tame & aids you to trim eyebrows. 3. Eyelash Brush; helps to prevent the clumping of eyelashes after mascara. Result: Having natural yet fuller & longer eyelashes. 1. The clamp is designed in a way so that the clamp will not hurt the delicate eyelid. 2. It also makes uses of high grade material quality to make sure the clamp does not break the delicate eyelashes. 1. 20g, highly recommended by NRWZD Kevin. 2. 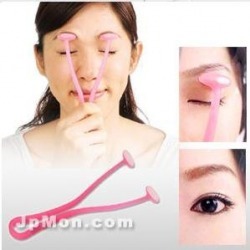 Helps to maintain your eyelash curl for one whole day. 1. After putting your mascara, use the Eyelash Spray to spray on your eyelash curler on the blue and pink shade areas; refer to the second picture to the right. 1. Put the fake eyelash in the "seat". 2. Use the next available clip to clip up the fake eyelash, and put glue. 2. 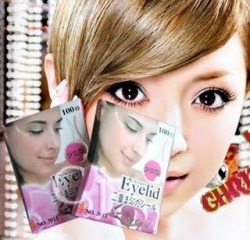 Especially suitable for Asian girls' eyes, cos' it is able to curl those little lashes, or hard-to-reach lashes. 3. Ultra Elastic Rubber, thus it will not break or damage the eyelashes easily. 4. A very unique design : just curl a little, and your eyelashes will be curled naturally. 5. Comes with an exchange rubber as well. Having difficulties applying mascara? This small little gadget allows you to have an even and easy application of mascara. 2. Covers upper lash, lower lash and a unique comb with 2 varying thickness at the bottom ensuring that eyelashes would not clump together, making it look more natural. Instocks: 1 reserved, 1 available. Is removing mascara a daily troublesome chore? Try out this mascara remover brush. 1. Place a facial cotton below the eye. 3. Brush onto the upper lash outwards. 4. Then, proceed to the lower lash. Having problems shaving your eyebrow? This is your solution. 1. Helps to shape eyebrows more evenly. 2. Easy to use & hassle free. 1. Try to balance and hold the gadget steadily before attempting any cutting. This is the perfect tool to help you draw your eyebrows. Allow you to apply your eyeliner effortlessly.